Oldham East and Saddleworth MP Debbie Abrahams is calling for an end to the ‘injustice of delayed payments to disabled and terminally ill people’. Mrs Abrahams has spoken in a Westminster debate detailing her concerns about the quality of the Personal Independence Payment (PIP), how assessments are processed, and the huge toll slow payments are putting on thousands of disabled people and their families. In her speech, the Labour MP said: “Along with other Labour MPs I welcome welfare reforms where we can see there will be genuine benefit. The National Audit Office report, which came out in February last year, described it as a ‘poor early operational performance’ with ‘long uncertain delays’ for new PIP claimants. At that time, the average wait was 107 days – for terminally ill claimants, claims were taking 28 days on average. Mrs Abrahams added: “I heard from a woman whose partner has cancer and is waiting for radiotherapy – they have been living on £113 a week since they applied at the beginning of April. It is estimated that 602,000 people currently receiving Disability Living Allowance will not be eligible for PIP, by 2018 – £24billion will have been cut from 3.7million disabled people. Mrs Abrahams noted that about a third of respondents to a survey of more than 4,000 Parkinson’s suffers said they are ‘financially worse off’ since being diagnosed. She said: “For more than a quarter of them money concerns are having a negative impact on their Parkinson’s. After the debate Debbie said: “How the government expects people to manage with no money for so long is a complete mystery to me. “It was clear from this debate that there is no remorse from the government. I still find it hard to comprehend their injustice and inhumanity. “There is evidence of a culture of intimidation and general hassling of claimants on JSA, ESA and DLA/PIP – the delays are just another way of making people ‘give up’. “If there is one message I would like to get across it is that this could be you or me! 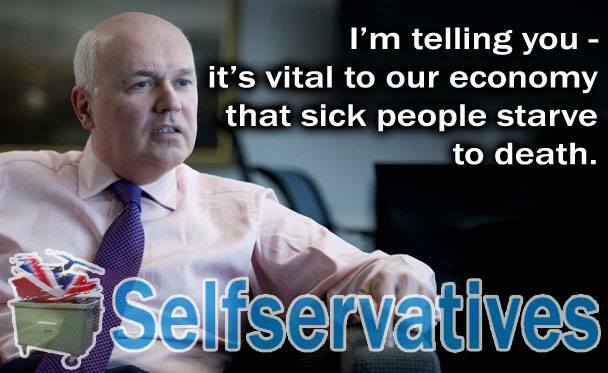 “We could become ill, or have an accident and become disabled, or lose our jobs and then we’d rely on our welfare system. “We should be proud not just of our NHS but of all parts of our welfare system. This is what a wealthy, humane society such as the UK should do for its citizens. Pictures courtesy of Robert Livingstone.